Prior to the sixteenth century’s Protestant Reformation there were few formal burying grounds for those who were not nobles. The remains of royalty, nobility, and high-ranking clergy members were often entombed in the walls of churches and cathedrals, with the areas closest to the altar being reserved for the most important members of society. The social changes spurred on by the Reformation – and the necessity of finding new spaces with the walls of churches nearing their capacity – led to the dead being interred in burial grounds, often known as God’s Acres. 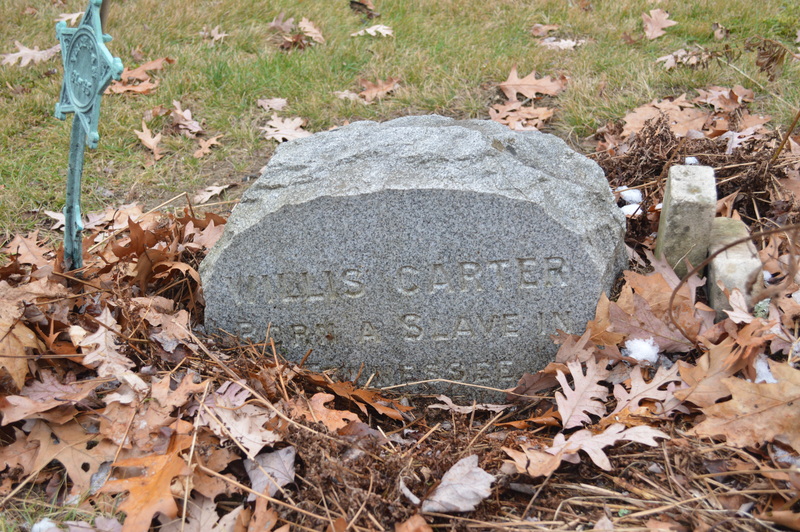 The emergence of these cemeteries opened up the possibility of a tombstone for members of the middle class, which meant an opportunity to be remembered. 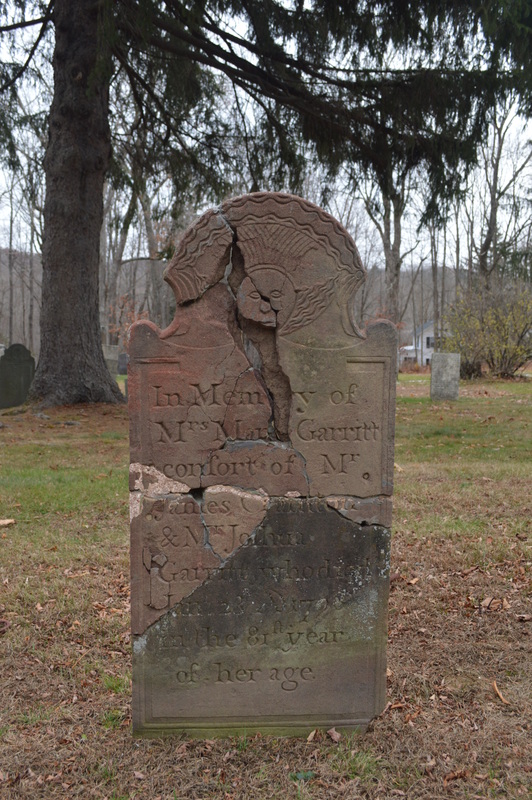 Much of New England’s tombstone art followed the lead of the Puritans, who were particularly macabre in their engravings. Puritan theology held that only the “Elect” would make it to heaven; the rest of mankind just died, were buried, and rotted in the ground. 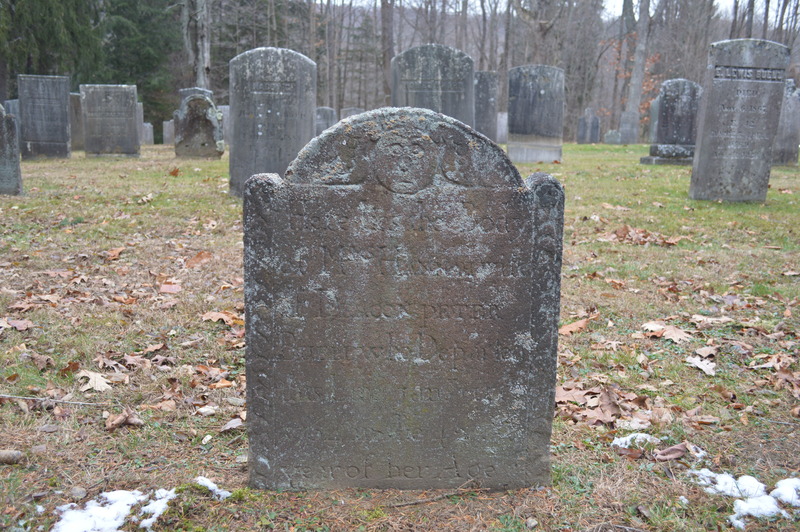 These beliefs are reflected in Puritan gravestone art, with the classic words, “Here lies of the body of …” engraved below a skull or skull and crossbones. 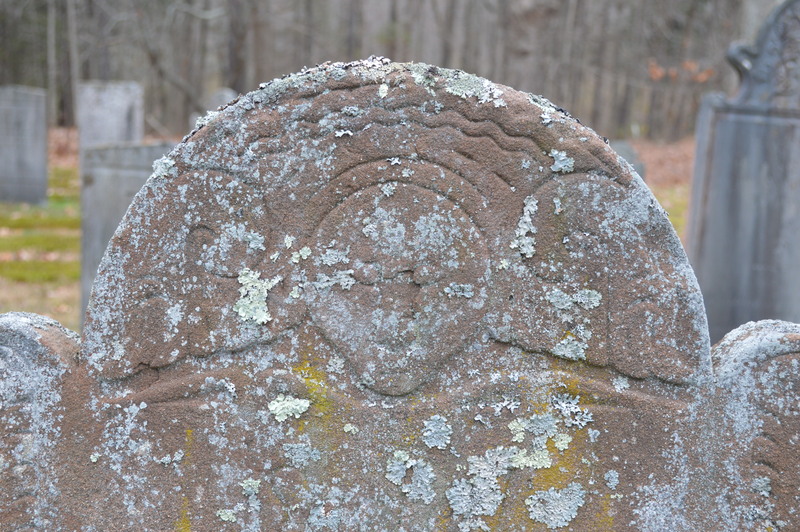 However, a loosening of the grip of conservative Puritanism led to more optimistic gravestones, with skulls being swapped for human faces, and crossbones giving way to angels’ wings. Equally telling is a subtle change in the wording, with “Here lies the body of …” often giving way to “Here lies the mortal remains,” language that allowed for the possibility of a human soul. 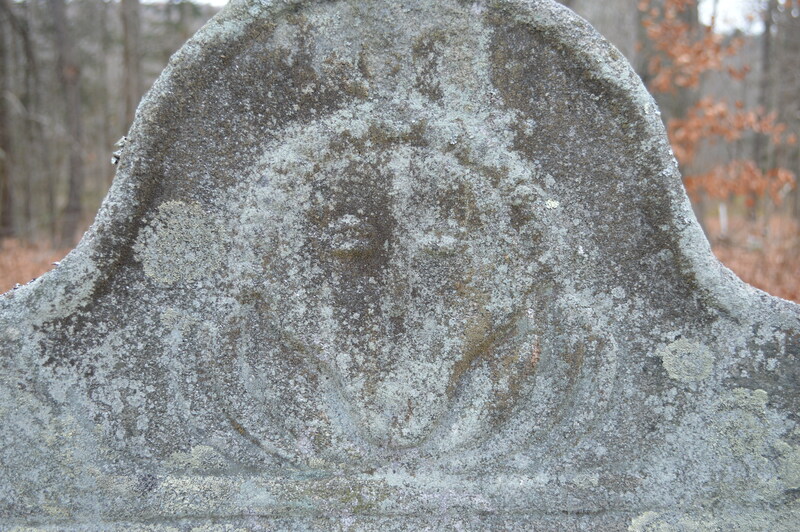 For more information on cemetery art, see Douglas Keister’s excellent Stories in Stone. 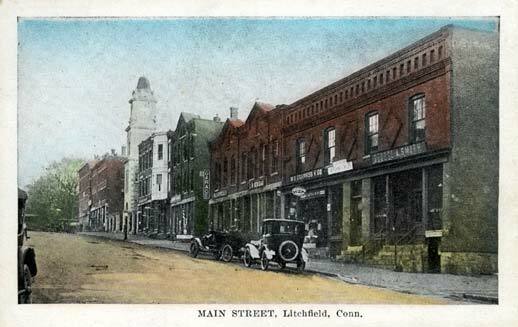 Perhaps there is no better metaphor for the history of Litchfield County than its ubiquitous stone walls. 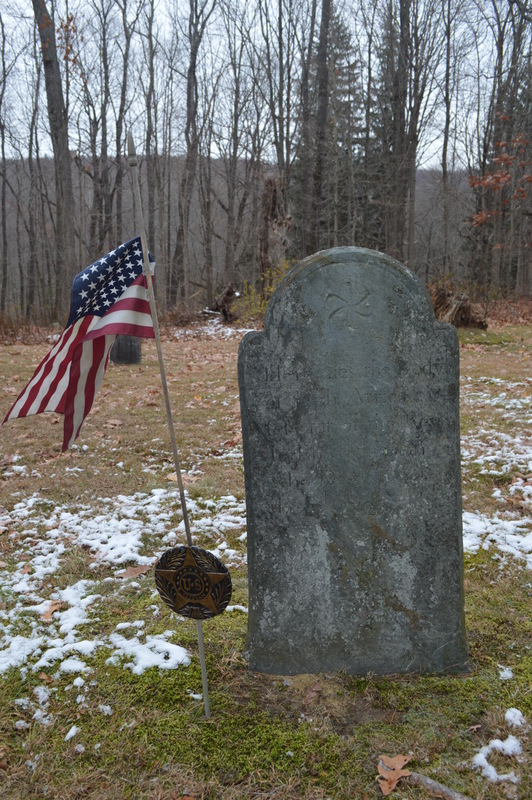 Constructed from colonial times through the middle of the nineteenth century, they stand as testimony to the intrepid early settlers who cleared the land in the hopes of making a living from the county’s soil. In plowing their fields, they utilized these unwanted stones to dam streams, mark roadways and property boundaries and pen in livestock. 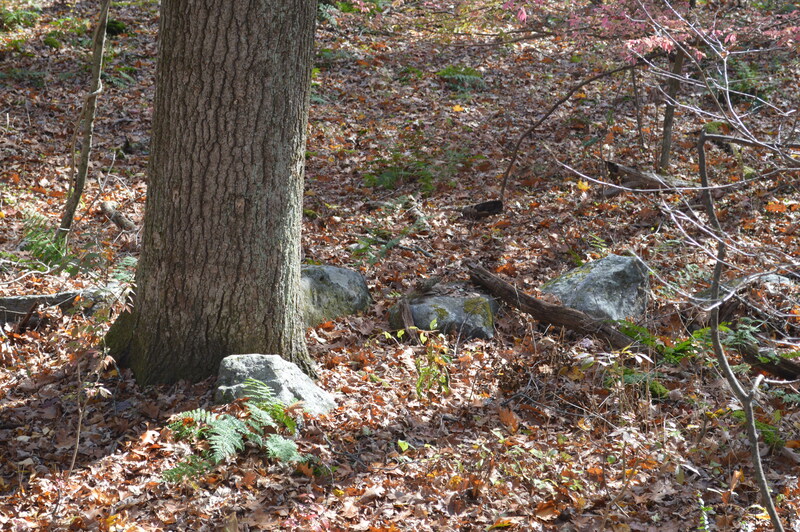 Yet the explorer is struck to find these vestiges of an earlier time in the county’s deepest forests, an indication that this land was once cleared and worked but has since been reclaimed by forests as lifeways in the county changed. 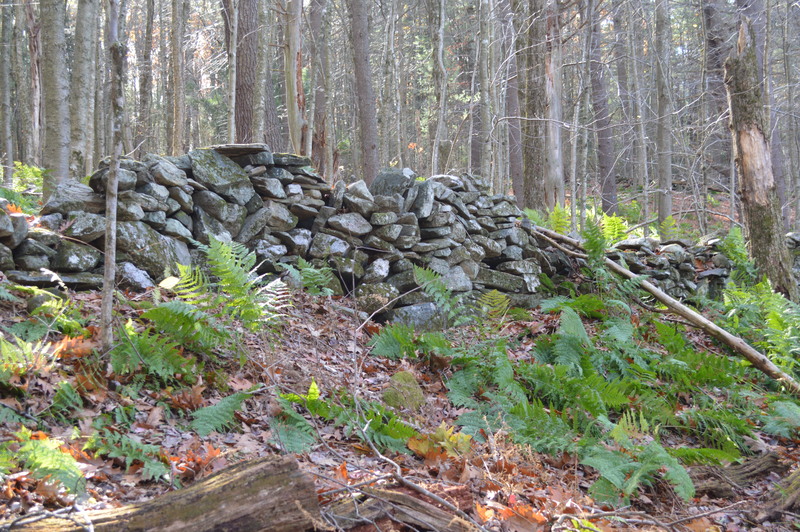 The stones that form these walls were deposited by the Laurentide Ice Shield 15,000 to 30,000 years ago, which scraped down to New England’s bedrock and scattered billions of stones across the region. Initially, the earliest stonewalls were built from stones obtained from quarries. The “Little Ice Age” of the 18th century, however worked stones to the surface through deep freezes and the erosion caused by spring runoffs. Thus, the clearing of stones from pastures and fields became an annual spring ritual. Farmers brought these stones to the fences that lined their properties, often by hand or by sleds pulled by oxen. Over time, these piles were reworked into more architecturally-significant structures as the supply of labor on farms grew. Eventually the walls shaped the landscape by forcing rain to different streams or building up soils. 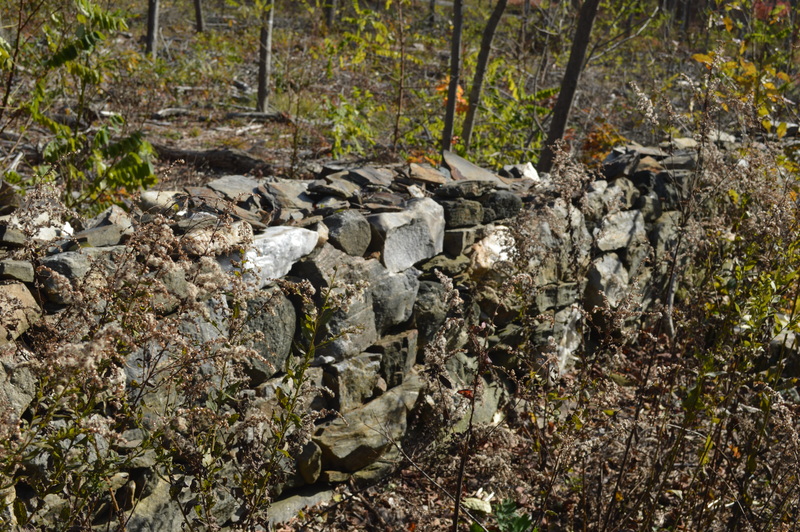 Stone walls served several purposes for farmers. When the communal land practices of the earliest colonial days shifted to a philosophy of individually owned land, stone walls were used to define boundaries. Farmers often piled stones until they reached the lowest level of a split rail fence. 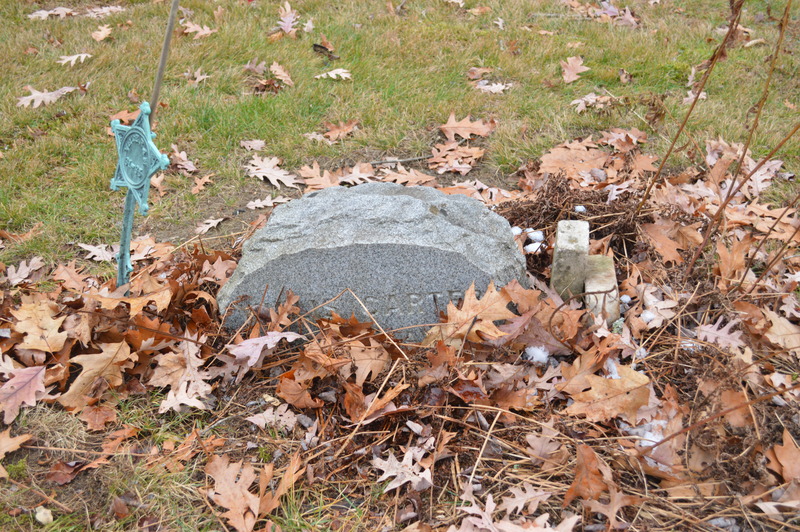 Stone pens were utilized for what Thorson has termed the “strategic dropping of manure” for use as fertilizer. 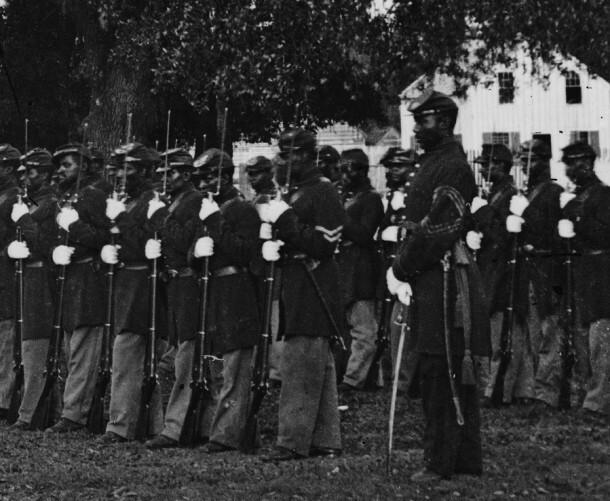 Elaborate stone walls were utilized as status symbols. More than anything, however, stone walls were simply ways to dump stones that were obstacles to farmers in their fields. 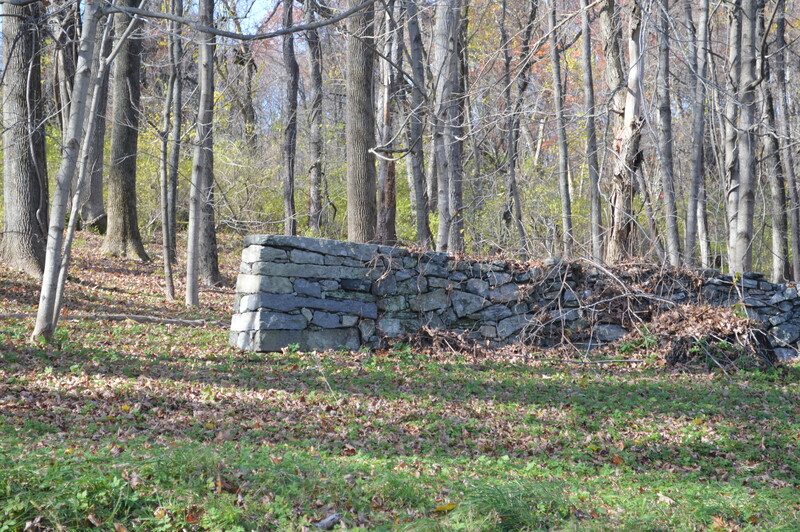 Dumped Wall – A simple line of piled stones. 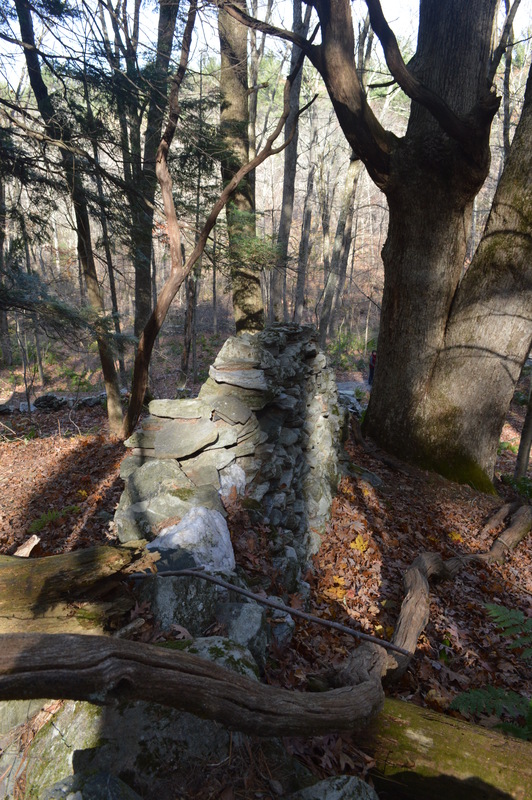 Tossed Wall – With stones stacked like firewood, this is the most common of stone walls. It required a bit more attention that the dumped wall. 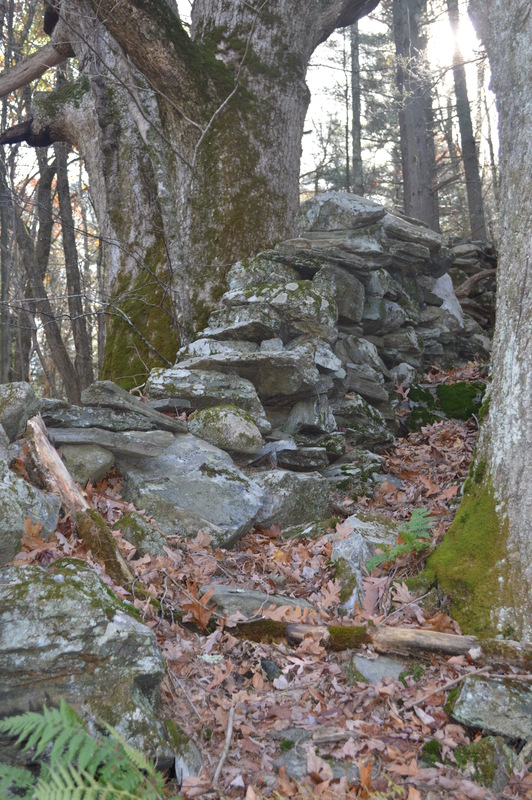 Single Wall – stones piled on top of each other. These were used to surround pastures. Double Wall – Parallel walls with smaller stones used to fill in between. 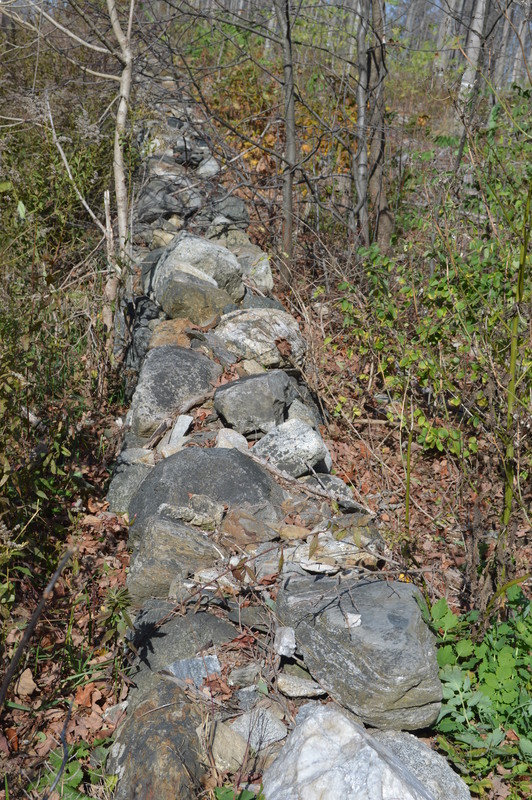 Laid Wall – Featured stones in a “weave” pattern. 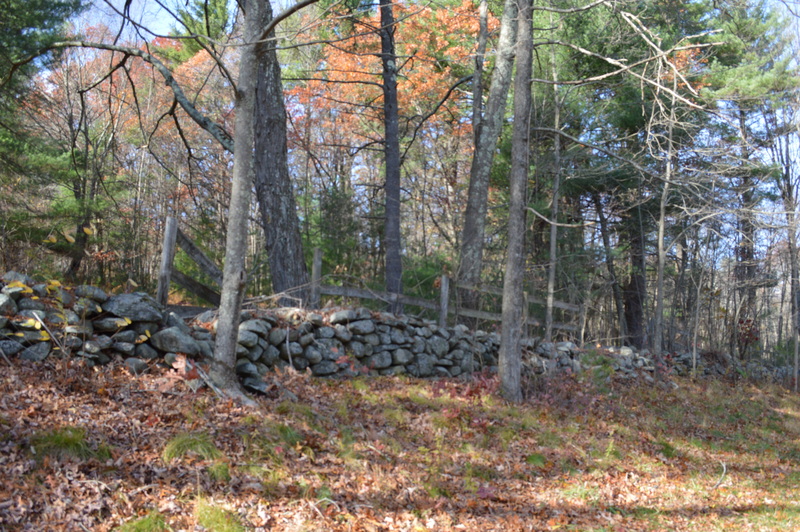 A 1939 study estimated that there were 240,000 miles of stone walls in New England, which contained more stone than the remaining monuments of the ancient world put together. 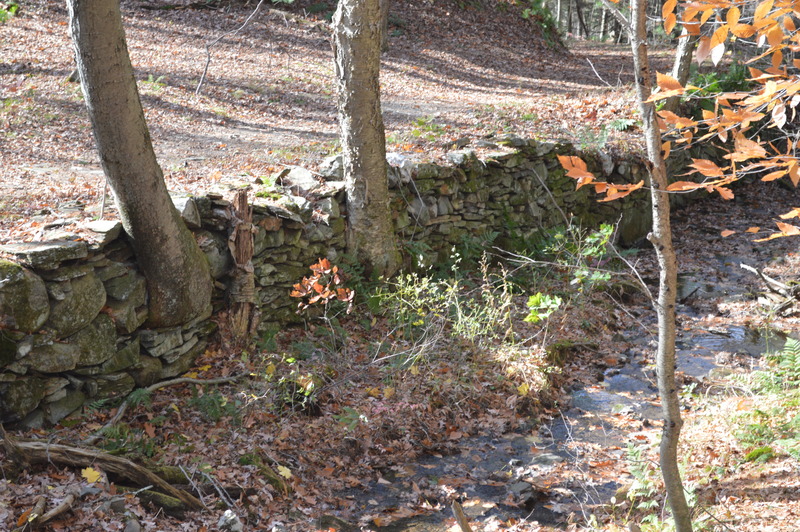 Unfortunately, Connecticut (unlike Massachusetts and New Hampshire) has no law that protects its stone walls, and they are slowly falling victim to bulldozers or being quarried for new stonework.